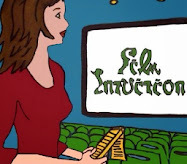 Film Intuition: Video Screening Room: Film Intuition News: Feeds, Widgets, Partnerships -- Don't Miss a Thing! Film Intuition News: Feeds, Widgets, Partnerships -- Don't Miss a Thing! As Film Intuition continues to grow with great new content added and updated throughout the week, it can be hard to keep track of. Now Film Intuition is overflowing with information in both the site as well as 4 different databases from our increasingly popular Review Database (the birthplace of the 2 and 1/2 year old site), to our Trailer and Photo Gallery where new material is added either with brand new hot trailers or great new clips, pics, and featurettes are attached to old posts on a regular basis, our Video Screening Room that now offers a wide range of clips from Movies to TV shows to Music Videos, as well as a wide-variety of additions in Jen's P.O.V. Page which continues to update readers with reviews and news about Upcoming DVD Releases, CDs, MP3s, Soundtracks, TV Shows, Online Games and more. While E-mail Subscribers using FeedBlitz for the various databases are aware of the convenience of receiving everything in their inbox, to make it easier and taking a cue from some larger sites, we've joined forces with FeedBurner so you can add Feeds from all 4 Databases to your reader of choice (My Yahoo, your home page, etc.). Check out the Feeds below for subscription or addition and also, for your convenience, explore our new animated widgets in action which you can add to your own pages in support of the site. Thank you again for your support-- your loyalty and readership is paramount in the success of Film Intuition as well as keeping it running. And additionally the industry is taking note as now I'm able to offer you guys exclusive photos, trailers, Blu-ray and DVD reviews, Contests, and unique coverage from a wide variety of sources as well as cool interactive video players to help you guys choose the type of content you'd like to see from news to trailers and more. Please remember that there's a wide variety of ways to help show your support of the site from not only subscribing and/or adding feeds or widgets but using the "Share," "Bookmark," "E-mail to a Friend," "Digg" and other options to help spread the word, linking to the page (although please remember that it is copyrighted and reprinting an entire feed (no matter how noble your intentions) is in violation of the Digital Millennium Copyright Act, as well as thanking the advertisers who've been with the site from the beginning by purchasing directly through them, or donating anonymously through PayPal (see below). Recently, we've also given you the option to avoid long-lines and ensure a seat for the hottest new releases by partnering with Fandago to order your tickets online. Additionally, it just got much easier to help out, thanks to iGive. In this rough economy, budgets have sent entertainment sales plummeting but you're able to still help keep this independent site operating by registering with simply your name and e-mail address (which you can keep anonymous) with iGive, selecting "Film Intuition" as your cause and-- even if you're not interested in shopping at their more than 700 stores-- you can download the iSearchiGive toolbar powered by Yahoo which donates two cents every single time you make a valid search on the web (i.e. no searching for "yahoo" or "MySpace" etc.). In addition, in the near future I'm going to be turning to you with more polls and surveys to find out just what kind of coverage matters most to you as we begin making strides to continue improving the site with each successive month specifically with our readers in mind. Thanks for stopping by, I value your feedback and we hope you'll continue to look to Film Intuition for more in-depth cinematic and artistic coverage and with your help make 2009 even more successful than our landmark 2008 in terms of coverage, access, and stats. Music Video: Raphael Saadiq -- "100 Yard Dash"